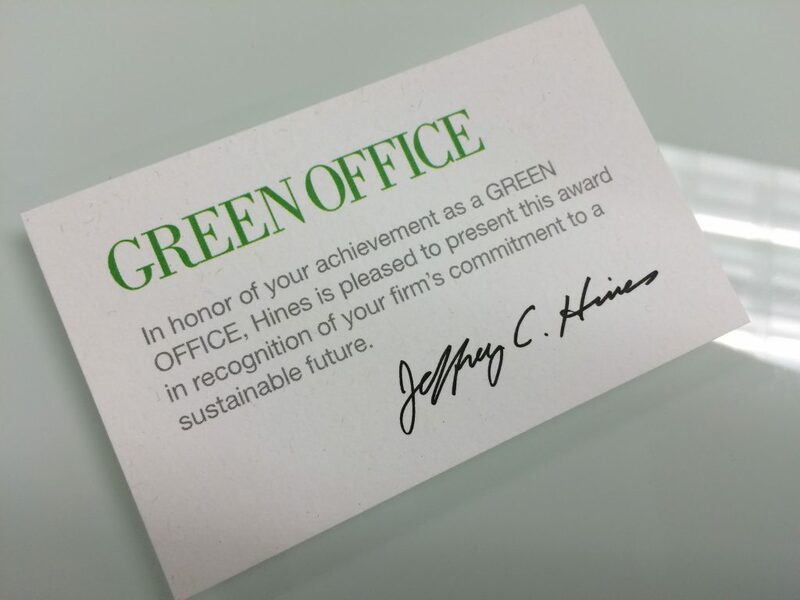 We are pleased to be recognized by Hines Management as a HinesGO company. 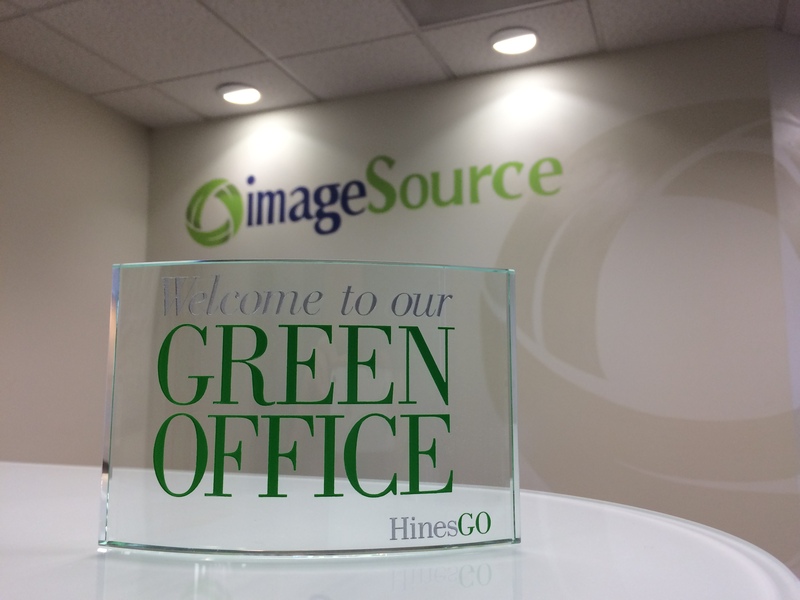 Image Source has a long-standing commitment to environmental sustainability. One of the reasons for our high ranking was the smart use of our digital printing devices….the same strategies we offer our customers. Replace copiers or printers with MFPs that do it all. One multifunction printer that copies, prints, scans, and faxes can use half the energy of all those separate devices. Leverage the paperless office. Xerox scan-enabled MFPs, can eliminate the costs of producing, storing and shipping paper documents. Use paper wisely. Print on both sides of the page–also called “duplexing.” Print multiple images per page and print only the quantity you need at the time you need it (POD = Print On Demand). Pick your paper. Print on paper certified to sustainable forestry standards or use paper with recycled content. Recycle the paper you use. Install bins around the office to collect paper for recycling or reuse. Select Energy Star Devices. Upgrade old products with new, more efficient systems and the savings add up. Xerox ENERGY STAR qualified products. Don’t throw away empty toner cartridges. – Make it easy for your team to recycle their used cartridges. For our customers, recycling is just a click away. To learn more how Image Source can help your organization leverage Xerox technology to go green, contact one of our Image Source product specialists at 1-800-336-1642, or click the link below to fill out an information request form.